Pada Daari or Cracked heel is a very common problem and more among the women. 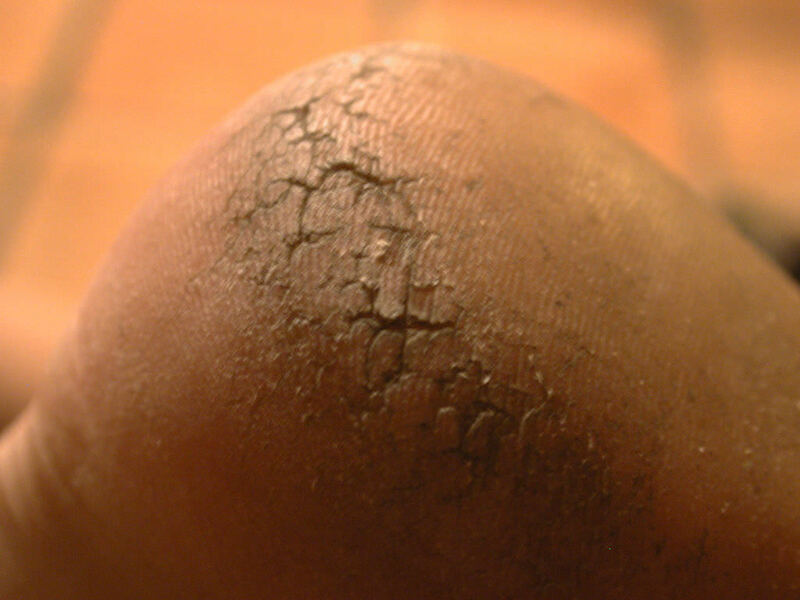 In addition to dry, thick skin it is accompanied by symptoms such as itching, redness and skin peeling. We should undertake appropriate precautions to prevent cracks from going deeper and causing bleeding and pain. Olive oil, coconut oil, sesame oil, etc., can be used. First soak your feet in warm water and scrub your feet with a pumice stone. Apply any oil on your heels and soles. Wear a pair of socks and leave them overnight while you sleep. Do this for a few days until the cracks in your heels heal. Helps as an exfoliate. It helps remove dead skin, thus preventing cracking and dryness. For scrub, mix a handful of rice flour with a teaspoon of honey and apple cider vinegar. Make a paste. Soak your feet in warm water for 5 minutes and scrub the feet gently. Crush a few Neem leaves make a fine paste and add a teaspoon of turmeric powder. Mix well. Add the paste to the cracks and leave for half an hour. Wash your feet with warm water and pat dry. Soak feet for 10 to 15 minutes in lukewarm water and add a cup of lemon juice to it. Scrub your cracked heels using pumice stone. Mix half a cup of Sea salt to a foot tub filled with warm water. Soak your feet in the solution for 10 minutes. Scrub your feet with a pumice stone and soak the foot again for 10 minutes. for best results, take a pair of socks to prevent additional moisture from evaporating. apply the petroleum jelly on the entire heel area. Cover your feet with socks so that the jelly soaks into the skin. For good results, do it before going to bed. At the first sign of cracked heels, try the natural treatments to restore soft and smooth skin on your heels. Also, to keep your body well hydrated by drinking lots of water and eating a well-balanced food. Interesting article! I get this during the winter mostly. I had used Ayurvedic lotion (Himalayan product) that seems to cure it. Since I moved to the west coast, my heals are not as bad. But I will try coconut oil. Thanks.